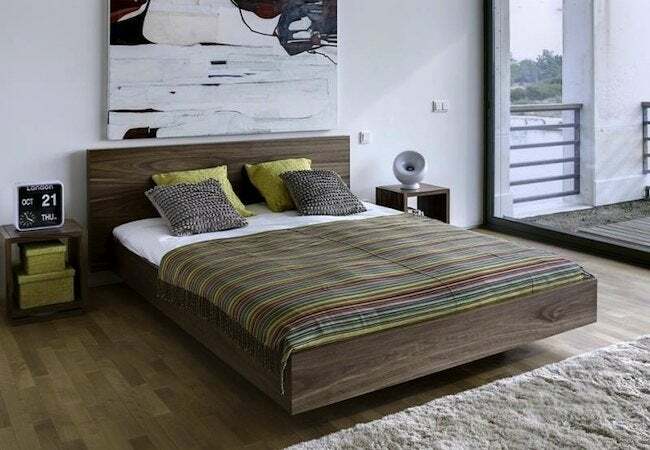 The sleek lines and compact design of a platform bed suit a variety of interiors. Platforms can be inexpensively made and can easily incorporate storage—which makes them great for small bedrooms and small budgets alike. Witness this all for yourself with our roundup of DIY platform beds. Platform beds never go out of style—unlike, say, platform shoes, but that’s a different story. Appropriate in a range of decorating schemes, the long-and-low design of a platform bed appeals not only to the eye, but also to the wallet—and to those who are above all practical-minded. It may be obvious but is well worth mentioning that a platform bed lets you save a bunch of money by not having to buy a box spring. Another important advantage: Platform beds lend themselves to built-in storage cubbies, shelves, and drawers that conserve valuable floor space. If you’re intrigued by the style’s many selling points, scroll down to see five different ways to approach building a DIY platform bed. 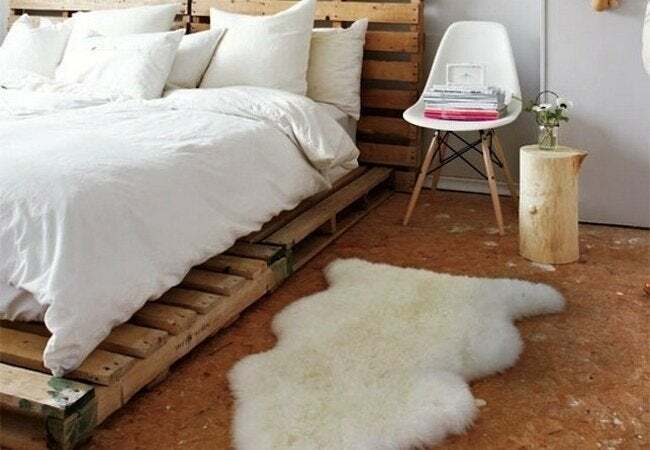 Shipping pallets, with their rough-hewn texture, yield a DIY platform bed with a distinctively handmade aesthetic. Fasten a couple of pallets against the wall vertically, and in an instant you have a low-cost headboard that coordinates perfectly with the frame. If you wish, paint or stain both for a more finished look. We’ve noticed several ingenious DIY platform bed projects involving IKEA shelving units, either alone or in combination with wood framing. It’s hard not to love how easy these are to assemble—and afford. Of course the real clinchers are the storage compartments, which make this design ideal for anyone starved for space. The sleek profile of a DIY platform bed looks very much at home in a modern space, particularly when the bed frame has been graced with mid-century-esque details. With little more than oak boards and metal hairpin legs, you can build a piece just like this one, which recalls an earlier age but retains timeless charm. By following an online tutorial, The Caldwell Couple managed to knock off the design of a Pottery Barn Kids bed, completing the project for about $120 (hundreds less than it would have cost to buy from the retailer). Platform beds are easy for children to access, and because the beds are so close to the ground, they’re quite safe. Some platform beds look as if they are floating when in reality they are perched on a smaller base that you could see if you were to peer underneath. 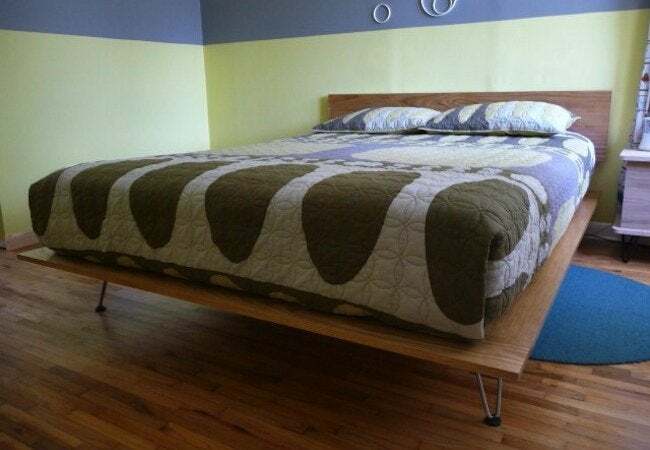 You can add functionality to this form by making the platform about six inches wider than your mattress; the extra space becomes a sort of nightstand for odds and ends.